While you may not give dry cleaning conveyors much thought, Andrew Quitmeyer and Madeline Schwartzman’s “Replantment” exhibition at the Pratt Manhattan Gallery uses them in an entirely new way, along with glowing silicone molds of leaves from all over the world. 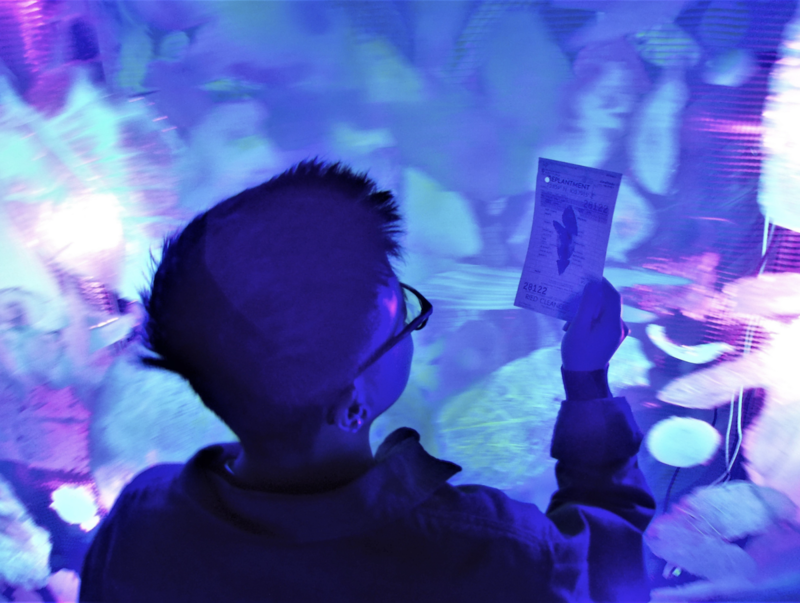 The machine detects when an RFID tag attached to a laundry ticket is nearby, then moves over a lighting arrangement to display the multitude of glowing leaves. An Arduino and a SparkFun Simultaneous RFID Reader are used for control, with relays taking the place of a foot switch to start and stop the conveyor motors. You can check it out in action below, or if you are in the New York area, you can see the artwork in person until February 17th.